Edward Dube is a member of the First Quorum of the Seventy for The Church of Jesus Christ of Latter-day Saints, whose members are often called Mormons. This is an important leadership position that assists in carrying out church work worldwide, a necessity as the church grows and is spread throughout the world. Some also hold positions in various church departments. Edward Dube was sustained in this position in April 2013. Prior to this calling, he served as an area seventy in the Africa Southeast area. He lives in Zimbabwe, where he was born. He became a member of the Church of Jesus Christ at age 22. Elder Dube has a degree in education from Zimbabwe D.E. College and also studied entrepreneurship at the University of South Africa. 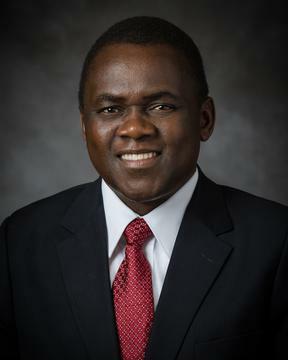 He was employed by the LDS Church Education System in Africa. Edward Dube has an extensive background in volunteer church service. He has served as a mission president overseeing all missionaries in the Zimbabwe Harare Mission. In addition, he has served as the branch president (lay pastor) for a congregation and also the president of a stake, which is similar to a diocese. As a young recent convert, Edward Dube wrote a letter to a church magazine stating that his conversion was the best thing that had ever happened to him and that church membership had given him a better and happier life.